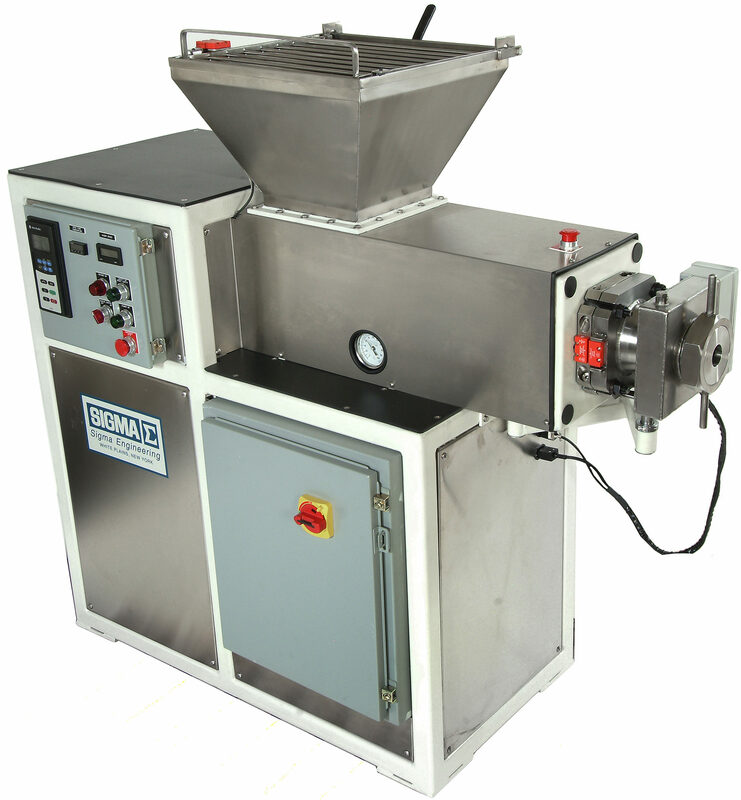 Model LE-4 and LE-5 Combination Soap Refiner/Extruders can be used in either pilot plants or small production facilities. These machines feature variable speed drive and are easily changed for use as a refiner or extruder. Model LE-4 and LE-5 Combination Soap Refiner/Extruders can be used in either pilot plants or small production facilities. These machines feature variable speed drive and are easily changed for use as a refiner or extruder. 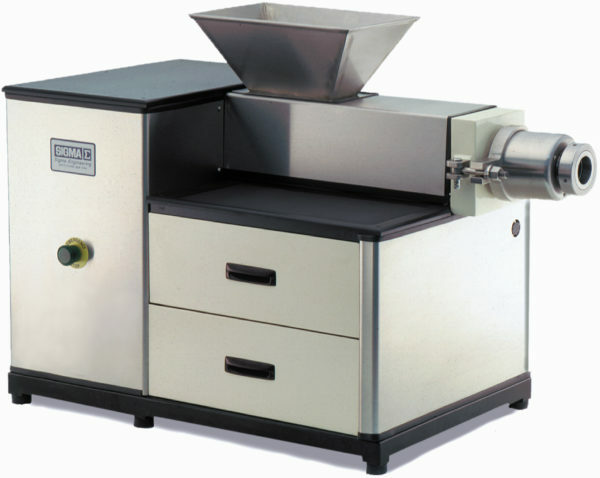 As an optional attachment, a vacuum cover can be fitted to the hopper. All product-contacted parts are stainless steel with the exception of the screw which is aluminum. Optional base tables are available. The primary application for these machines is bar soap. However, the design is useful for other products where a forming extruder is required.